In Franconia, New Hampshire, Robert Frost’s house turned poetry and retreat center stands before a beautiful landscape of mountains ranges and thick woods where visitors can come to view the scenery and walk through one of his home’s where many of his best works were created. The house is modest but many of the original fixtures and architecture remains. Even some of the original furnishings are there, such as his leather chair with a handmade wooden desk attached for writing and his small but cozy bed where he slept. There is a nature trail in the back of the home, with marquees throughout, each marquee has one of his poems on them. Visitors can find inspiration and serenity as they take a stroll through the trail before entering the home where the poet spent his time. 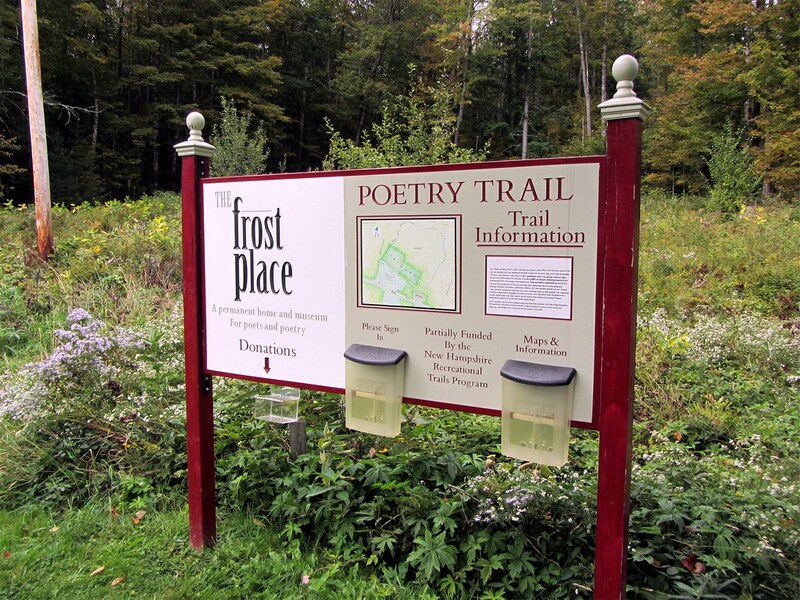 The Robert Frost Poetry Center is open to the public all year around but there are sections of the home blocked off for chosen poets and writers to reside there during specific times of the year while working on their pieces.